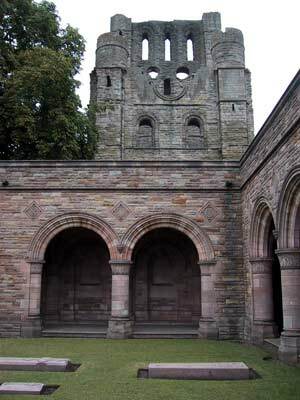 Kelso Abbey in the Borders was once extremely wealthy, owning vast lands, churches, schools, farms and granges in the Cheviot Hills, and it was one of the finest examples of Romanesque architecture. It was built in 1128 by the Tironesian monks from France under King David I, and was dedicated to the Blessed Virgin of St John in 1243. 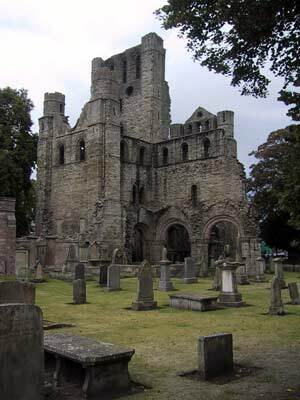 It boasted a superb library in medieval times and the Abbot of Kelso was granted the right to wear a mitre (liturgical headdress), which placed him at the top of the hierarchy of abbots in Scotland. Despite its prestigious past (James III & James IV were both crowned here), Kelso Abbey's fate followed that of other Borders abbeys. 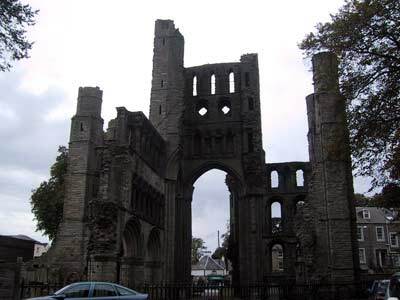 It was reduced to rubble by the English forces of King Henry VIII in 1544, and fell into disuse after the Reformation of 1560, when monks were persecuted by the Protestant Reformers. A Parish Church used part of the site from 1650 to 1770, when the ruins were used as a source of ready-hewn stone for buildings elsewhere in the town. Before that though, the Abbey was visited by Mary, Queen of Scots during her progress of 1566. 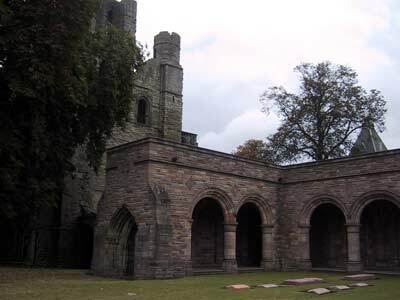 Most of the ruins were cleared away but nearby is a more recent addition, a Memorial Cloister erected to the memory of the 8th Duke of Roxburghe in 1933 (above and below). 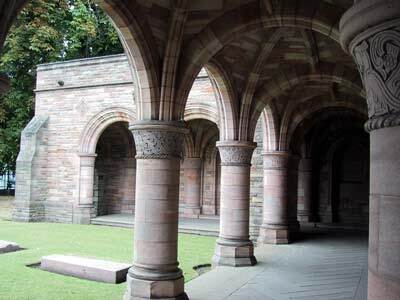 This echoes the probable architecture of the cloisters of the original Abbey built 800 years earlier.